This is the second single from the Black Eyed Peas solo emcee’s forthcoming solo LP. As we predicted on “The Ralphie Show,” the album would be released in the States as soon as Will scored a hit, which he did with the Britney Spears’ assisted “Scream and Shout.” #willpower will be released worldwide on April 9. The renaissance man recorded this track with the Biebs while overseas. In new music	justin bieber, will.i.am. For those keeping track at home, this is the fifth track from will.i.am’s forthcoming (yes, more news on that in a second) album #willpower. Will and Britney also collaborated for “Big Fat Bass” off Britney’s Femme Fatale. 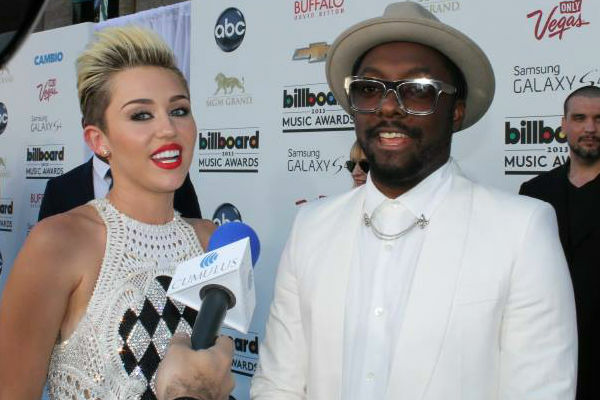 Apparently, the Black Eyed Peas lead emcee is releasing #willpower, just not in the U.S., yet. The album is slated for a December 7 drop date in Australia and will hit stores on December 10 in the UK. My guess: if this single takes off, you’ll see an American date as well. In new music	britney spears, will.i.am. Some could say that it was a “good, good night” for the Republican Party on Tuesday at its national convention. Black Eyed Peas lead emcee Will.I.Am wouldn’t be one of those people. The Renaissance man took to Twitter last night and acknowledged that the GOP used The Peas’ anthem “I Gotta Feeling” during its convention in Tampa. The artist supported President Barack Obama’s 2008 campaign and has long used his platform to push agendas that transcend music, ranging from education to the economy. But despite the message of unity in his initial comment about the Republican Party, Will followed up with a tweet to me, further explaining his stance on the song’s use. Will made no further comments on Twitter about the song. The artist adds his name to a seemingly ever-growing list of liberal musicians whose music is used by Republicans without permission. Earlier this year, the indie rock outfit Silversun Pickups issued a cease and desist letter to Mitt Romney’s campaign after he played the track, “Panic Switch” at a rally. In Uncategorized	Republican National Convention, twitter, will.i.am.